No trip to the Belgian capital is complete without paying homage to the city’s finest, albeit fictional, son — the one and only Tintin! Yes, you have the chocolates, the waffles, the beer, the French fries and the mussels. But what makes Brussels really stand out from all other capitals is the myriad comic strips that the city has produced, and in particular, Tintin. Created in 1929 by Belgian cartoonist, Georges Remi (aka Hergé), the young reporter, along with his faithful fox terrier Milou (Snowy) and his friend Captain Haddock, have become some of the most globally recognisable European comic-book characters of the 20th century, with 24 books being translated into more than 100 languages. 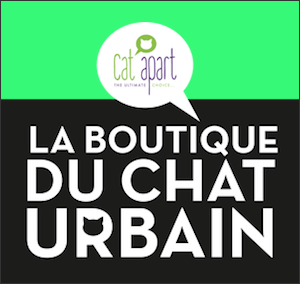 Whether you are a fan or not, hitting the Tintin trail is a great way to discover the city’s most famous historic sites as well as some of the more remote and charming districts. And it’s fun too! 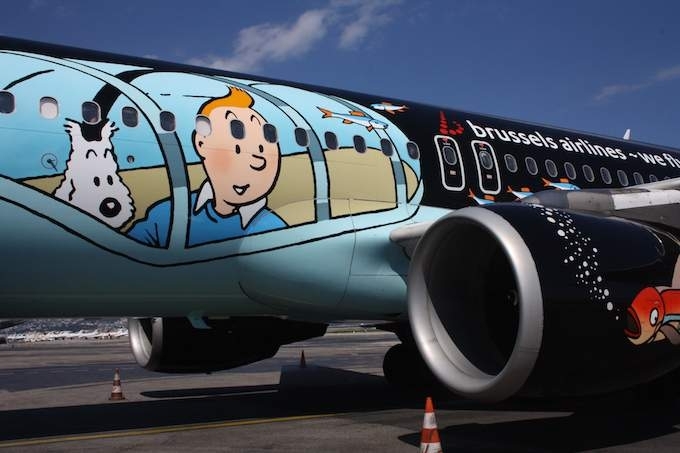 And you don’t have to wait until you’re in Brussels to come face to face with Tintin — If you travel with Brussels Airlines, chances are you that you will fly in one of the company’s new Tintin planes (see lead image and video above), whose entire fuselage has been decorated in the style of Professor Calculus’s shark submarine. And if you stay at the Hotel Amigo in the heart of the capital, you may be lucky enough to spend the night in one of the two suites entirely dedicated to the towheaded boy. As for the city of Brussels itself, Tintin figures quite prominently, alongside other well-known comic strip characters. There are some 49 murals spread out all over town dedicated to our ageless reporter and the likes of Lucky Luke and the Smurfs. Here you can follow the adventures of your heroes and acquaint yourself with the sights, including the Manneken-Pis, the Grand Place, the magnificent Galerie du Roi, the Vieux Marché and the Théâtre Royal de la Monnaie, the concert hall that inspired the Hippodrome in The Seven Crystal Balls, where Tintin and Captain Haddock go to see a magic show. Over at the Centre Belge de bande Dessinée (the Belgian Comics Strip center), the permanent and temporary exhibitions pay tribute to the creators and characters of the 9th art, while the Musée de la Figurine Originale (Museum of Original Figurines) offers a unique collection of life-sized statutes that include Tintin and all his companions. For a well-deserved culinary break you can then head to the Comics Café where you will be greeted by a huge statue of Tintin and Milou and will be able to dine on an Obelix hamburger. And finally, to round off your adventures in the world of the ageless reporter, a visit to the architecturally-striking Musée Hergé in Louvain-la-Neuve (easily accessible by train), is a must. With more than 80 original plates and about 800 photographs, documents and other objects on display, here you can find out all about Tintin’s creator, and the origins of all the main characters. Brussels Airlines and EasyJet offer daily flights to Brussels from Nice airport.